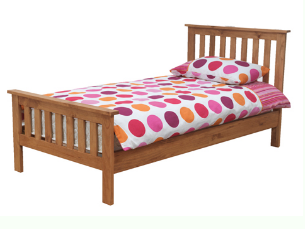 The Paris bed features a wooden frame with sprung slats, slatted headboard and foot board as well as centre support. Available in natural or white in 3', 4'6" & 5'. 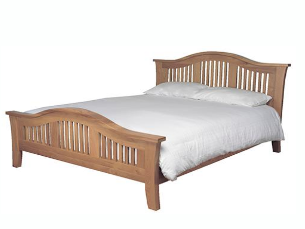 The Naples traditional style bed is made from solid pine in a natural finish. 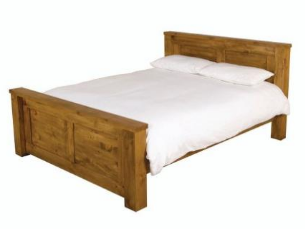 Contemporary design low end bed made from solid timber in walnut finish. Devon has been crafted using solid pine in a warm honey lacquered finish to help to protect and preserve the quality of the solid pine. 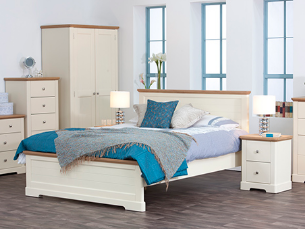 The bedframe is available in 3', 4', 4'6" and 5', and matching items such as chests, lockers, dressing tables and wardrobes are available to complete the look if you wish. Solid construction combined with charming style makes this a beautiful piece of furniture. Available in 5' wide only. 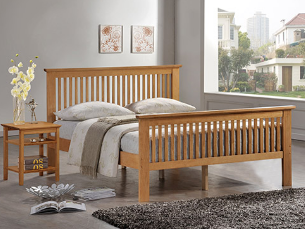 Rugged and casual, the Carolina bedframe highlights the beauty of pine with its whorled knots and rustic planks. 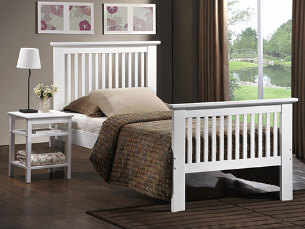 Chunky tops and frames add strength and character to this country style. Part of a stunning range of reclaimed oak, beautifully crafted to the highest detail. Dovetail joints and robust hardware combine with the unique "knotty" grain to provide a traditional and timeless collection. 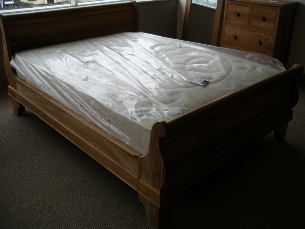 The Hampshire oak bedframe is smooth, chunky and robust, and will create a natural and contemporary feel in any bedroom. 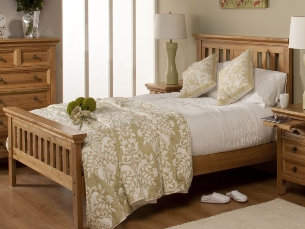 Crafted from the highest quality oak, this bedframe has a natural satin lacquer finish and displays beautiful knot and grain patterns. It also features slightly curved tops and a slatted head and foot end. 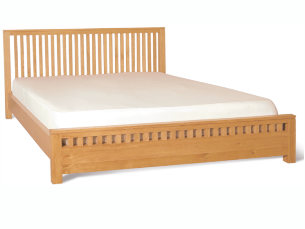 Clean lines characterize this American oak bedframe in hand oiled finish. 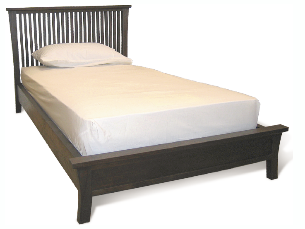 It is styled with slatted head board and low bed end. Modern yet timeless. 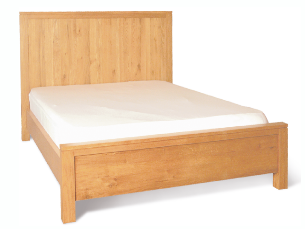 A unique design manufactured in solid American oak. An appealing mix of concave and convex lines, beautifully and elegantly finished. Complementing lockers, chests and wardrobes available. 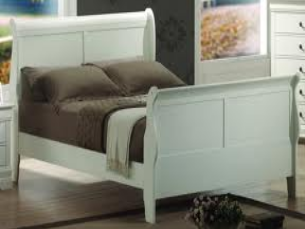 Like the Malibu bedframe, all the Malibu bedroom furniture collection features solid oak tops with a stunning ivory finish which enhances the clean lines and minimalist feel of this range. All the Malibu storage units have brushed chrome knobs which complement the simple streamlined style. 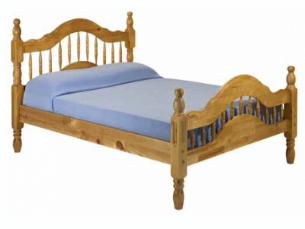 The Seville sleigh bed is made from solid pine with convex front design. Solid chunky construction makes this a high quality bed. 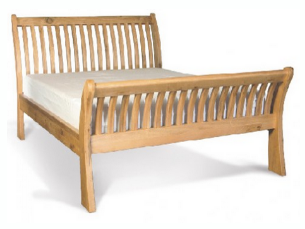 The Toulouse bedframe is made using 100% plantation timber kiln dried to achieve a tactile design and natural finish. 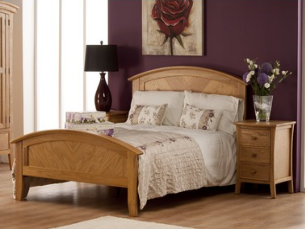 The Geneva features a high panel headboard and low bed end in hand oiled finished American oak. Dramatic, solid and angular design. 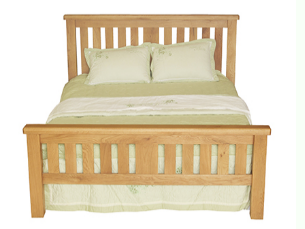 The Oregon bed is made from chunky solid oak in a rustic style. Suitable for classic and contemporary interiors. 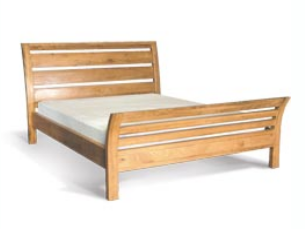 A sleigh bedframe in characterful solid teak.